Of our forty-five presidents, John F. Kennedy was the most notable yachtsman. 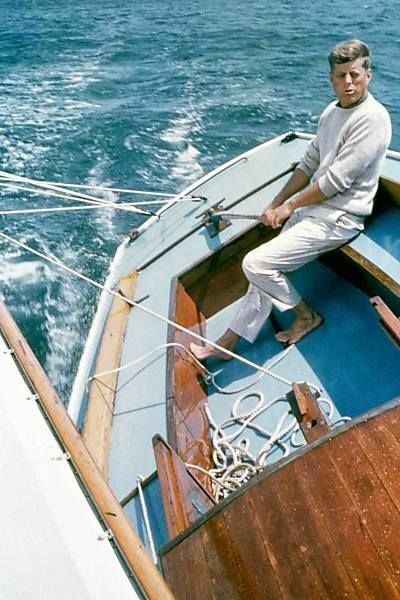 Some of the most iconic photos of JFK and his family are on the water, enjoying the wind, sun, and sea regardless of what political progress or pitfall may have been occurring on land. His remarks at the America's Cup Dinner at The Breakers in Newport on September 14, 1962, still resonate with sailors around the world. For Presidents' Day, I tracked it down to give a listen to the speech in its entirety. "We are tied to the ocean. And when we go back to the sea, whether it is to sail or to watch it, we are going back from whence we came." As President John F. Kennedy shared this sentiment with the attendees of the 1962 America's Cup dinner, he may not have guessed how those words would resonate with boaters and sailors for decades to come. Kennedy was a sailor long before he arrived on the political scene, competing on Stars in the Nantucket Sound and first appearing in the New York Times at the age of 20 for the Atlantic Coast Star Class championship. 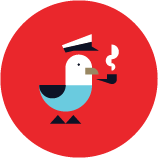 Not a fair-weather sailor, JFK joined the U.S. Naval Reserve in 1940 once graduated from Harvard University, and during World War II he commanded a series of PT boats in the Pacific theater, earning the Navy and Marine Corps Medal for his service. 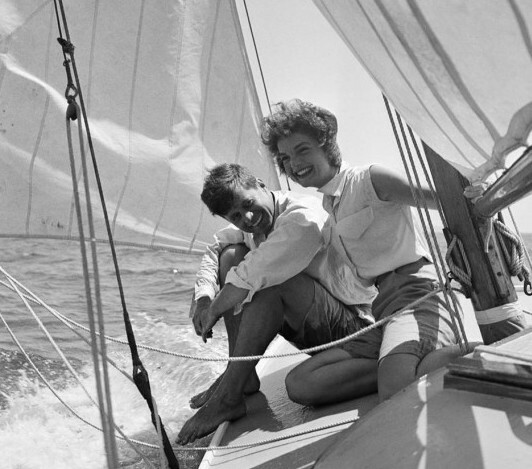 Sailing was a Kennedy family pastime; his brother Ted raced his own sailboat The Mya in Figawi for many years while JFK and Jackie spent summers sailing out of the Hyannisport Yacht Club. Although the S/Y Manitou and M/Y Honey Fitz were the larger vessels in his personal fleet, it was JFK's 25' Wianno Senior, the classic wooden gaff-rigged sloop Victura ("about to conquer") that he received on his 15th birthday that, by most reports, remained his favorite. 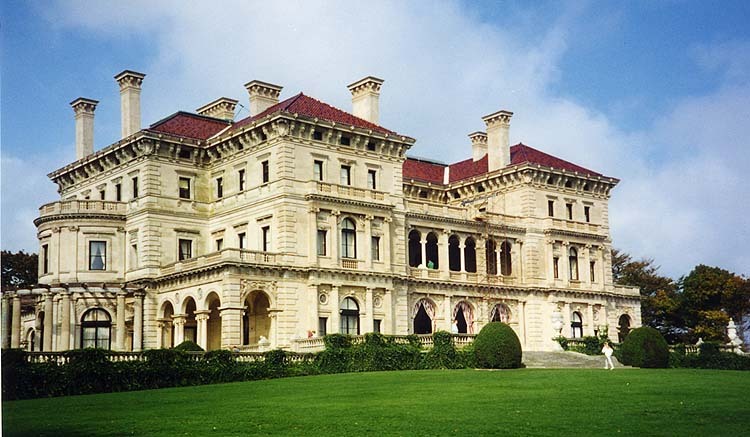 A month before the Cuban missile crisis would unfold, JFK arrived in Newport on September 14 for a gala dinner the evening before the first day of racing in Narragansett Bay. Thanks to his life-long love of sailing, Kennedy's poetic existential reflection – inserted between self-deprecating jokes about America's athletic prowess and a lighthearted lesson in U.S.-Australian merchant trade – carried more gravitas with his audience of 300 diplomats and competitors. Addressing the crowd from The Breakers, one of Newport's historic mansions, he was also sure to pay homage to Rhode Island's role in maritime world history. Click here to listen to the full audio of John F. Kennedy's famous America's Cup address courtesy of the John F. Kennedy Library and Museum. I know that all of us take the greatest pleasure in being here, first of all because whether we are Australian or American, we are all joined by a common interest, a common devotion and love for the sea. And I am particularly glad to be here because this Cup is being challenged by our friends from Australia. This extraordinary group of men and women numbering some 10 million, who have demonstrated on many occasions, on many fields, in many countries, that they are the most extraordinary athletic group in the world today, and that this extraordinary demonstration of physical vigor and skill has come not by the dictates of the state, because the Australians are among the freest citizens in the world, but because of their choice. Therefore, Ambassador, you are most welcome here. This Cup has been challenged in the past by our friends from Great Britain. We are glad to see Australia assuming the responsibilities of empire in coming here, and we are particularly glad to welcome you in the year 1962. This is a trophy which the United States has held for over a century, unlike the Davis Cup. And we do have a feeling, Ambassador, we do have an old American motto of "One cup at a time." Therefore, it is quite natural that the United States and Australia, separated by an ocean, but particularly that those of us who regard the ocean as a friend, bound by an ocean, should be meeting today in Newport to begin this great sea competition. This is an old relationship between the United States and Australia, and particularly between Rhode Island and Australia. In the 1790s, Ambassador, American ships – mostly from Rhode Island – began to call regularly at New South Wales. Their cargoes, I regret to say, consisted mainly of gin and rum, and the effect was to set back the athletic development, until the recent great temperance movement in Australia, for many years. In 1801, Governor Philip Gidley King, of Australia, complained to London, "Such has been the certainty in America of any quantity of spirits being purchased here that a ship cleared out of Rhode Island for this port with a very large investment of spirits, which I positively forbade being landed, in consequence of which she left this port with upward of 13,000 gallons of spirit brought to Australia for sale." And he told the American Minister Rufus King to warn the Rhode Island merchants not to try to market their rum in Australia. I need hardly say that the Rhode Island merchants continued to do their compassionate best to quench this thirst which was felt so strongly in Australia. However, Australia became committed to physical fitness and it has been disastrous for the rest of us. We have the highest regard for Australia. As you said, Ambassador, we regard them as very satisfactory friends in peace, and the best of friends in war. And I know there are a good many Americans of my generation who have the greatest possible reason to be grateful to the Australians who wrote a most distinguished record all the way from the desert of North Africa, and most particularly in the islands of the South Pacific, where their particular courage and gallantry I think met the strongest response in all of us in this country. But I really don't look to the past; I look to the present. The United States and Australia are most intimately bound together today, and I think that – and I speak as one who has had some experience in friendship and some experience in those who are not our friends – we value very much the fact that on the other side of the Pacific the Australians inhabit a very key and crucial area, and that the United States is most intimately associated with them. So beyond this race, beyond the result, rests this happy relationship between two great people. The following day, Australian challenger Gretel went up against the New York Yacht Club's Weatherly. Gretel was the first Australian challenger, the first America’s Cup challenger from a country other than Britain or Canada, and the first from the southern hemisphere. Kennedy watched from aboard the Destroyer USS Joseph P. Kennedy Jr. to watch the first race from the ship’s deck in the sunshine. The Weatherly won.